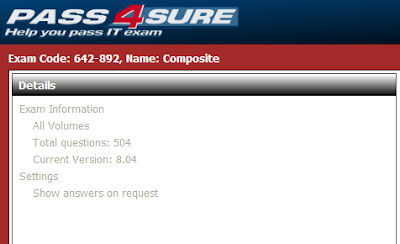 Thank you for 642-892 Pass4sure v 3.10 – 614 Questions. 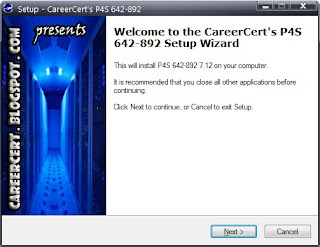 Password is “www.careercert.info” without quotes. Regarding the p4s 642-892 there are 2 volumes included in the latest version that says updating I and updating II, are those the more recent questions than the on inside the chapter specific volumes? Trying to figure out why some of the question and commands were not even discussed in the official ccnp certification guide 5th edition. You can use moneybookers.com. It is available in egypt. Email me for details. Latest 642-892 Testinside is now available in group buy. Note:- This new v5.25 update has been already emailed to the previous v5.24 contributors. I have shared it because it has not updated since last few months. No, Patch is not working on 614q version. Only screenshot PDF is available. 614 q I want but patch u have…..????? Yes, you'll get the latest one with 614 questions. In fact only date has changed on p4s website. The program itself is same. can i get April 15th updated for composite 642-892 if i do GB ? Those screenshots are different than the one i am providing in group buy. In that PDF you'll be able to see the whole question with options and answers and explanations in one single screenshot. 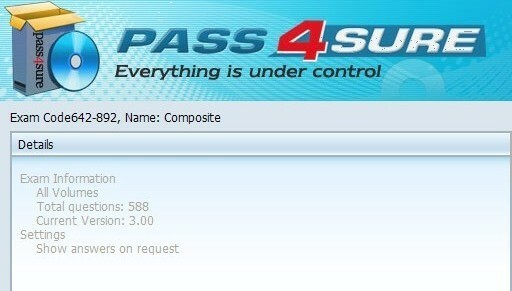 Latest pass4sure v3.10 – 614Q is ready to contribute. Latest v3.10 Update has been delivered to all previous contributors who participated in v3.00 GB. 642-892 v3.0 is complete PDF from Q1 to Q588. Is the 642-892 v3.0 with 588 questions (complete) or just an additional to v7.12 and v8.04? Pls. advise. You want to take the test in april, so it is too soon to say anything about validity. I decided to write 642-892 this April is v3 still valid on that time? There is no link to download. You can contact me for this group buy. 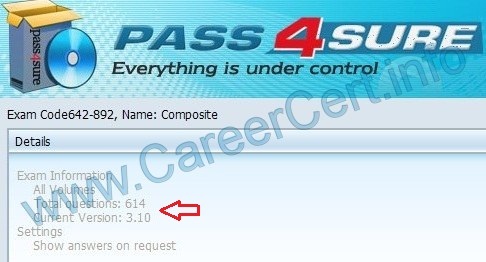 I need "Pass4sure 642-892 v3.00 – 588 Questions", however link doesn't seem to work. How i can download? Thank you! So dumps will be released in may or June 2010. Hi CarrerCert is it possible to arrange a GB for TSHOOT by Feb 15 for p4s or any other dumps? today i cleared 642-892 with 960 Mark. my bad i got 6 labs and plus 5 cases. last min i lost hope on passing the exam. but p4s V3 and TI5.23 (dis one enoufg) helped me alot. 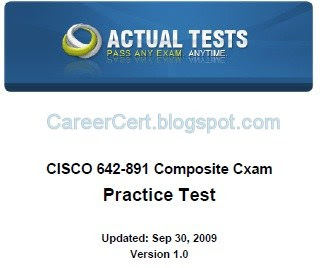 I passed the composite with 996 marks. I want to say a big thank you to CareerCert for the wonderful job you are doing. Your explainations on the simulations were really helpful. Like I said, the P4S version 3 and TI version 5.23 is ok for the exams. Once again, many thanks. 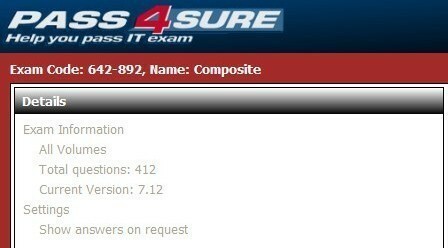 I passed the composite with 996 marks. P4S version 3 and TI version 5.23 is ok for the exams.